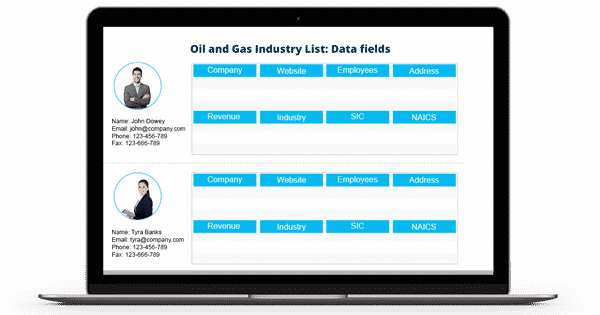 Get customized Oil and Gas Email List, Mailing List, and Telemarketing list to reach Oil and Gas Industry Email Database in the USA, Canada, UK, Australia, Middle East, South Africa and Asia. The Oil and Gas industry is on a constant verge of expansion the world over. Concurrently, the demand for services around this industry too is on a steady rise which marketers look to bank upon. However, they find it extremely intricate to reach out to the top decision making personnel for their marketing campaigns. What they essentially lack is competent database that can help them directly connect with target prospects by eliminating all the junior level executives from the flow of communication. Blue Mail Media comes as an enabler. Our Oil and Gas Email List is exclusively created keeping in mind the needs of the marketers, giving them complete access to information to connect with clients via telephone, email or mail. Our Oil and Gas Industry Executives Email List has been prepared with extensive research, strict verification process, and data enhancement initiatives. Reasoned to this, our clients enjoy a higher success rate in their marketing campaigns and unlock seamless interactions with their target audience. Understanding that each organization has different marketing goals, we offer pre-packaged as well as customized Oil and Gas Mailing Lists that aligns well with your campaign strategies and brings you the desired results. Blue Mail Media has a strong data partners network across USA, UK, Canada, Europe, Asia, North America and Australia that enables us to serve clients with the most competitive data without any regional constraints. Furthermore, we also house a strong team of data scientists, analysts and experts who make sure our data remains authentic, accurate and reliable. 1. How reliable is your Oil and Gas Industry Email List? Our Oil and Gas Industry Email List carries 85-90% accuracy rate and up to 90% of deliverability rate. Our team of data analysts verifies and updates the list once in every 90 days to keep it fresh. 2. Do you provide personalized Oil and Gas Industry Mailing List? Yes. We offer the Oil and Gas Industry List in both prepackaged and customized format. Based on your requirements, you can segment the database quickly. That is, you can customize it according to the SIC code, NAICS code, geographical location, company’s revenue, size, and other options. 3. Can I reach the prospects across the globe with your List of Oil and Gas Companies in Texas? Yes. We have a secure network of data partners worldwide. Hence you can reach key decision makers and executives across various regions such as the US, the UK, North America, Canada, Europe, Australia, Middle East, South Africa, and Asia using our Oil and Gas Industry Email List. 4. What are the different sources used for Oil and Gas Mailing List? Our team of experts uses highly authentic and internationally trusted sources to collect the data for our Oil and Gas Industry. The data sources include surveys, government records, trade shows, yellow pages, business directories, conferences, meetings, and many more. Hence you can trust the data provided on our list. 5. What is the information you offer in your Oil and Gas Industry Email Database? We provide first name, last name, company, location, web address, phone number, job title, revenue, company size, SIC code, NAICS code, and many more in our Oil and Gas Industry Email List. 6. Does your Oil and Gas Industry List follow GDPR and Anti-Spam law? Yes. Our Oil and Gas Industry Email List is designed to stay compliant with the guidelines of GDPR and Anti-Spam law. 7. In which format will I receive my Oil and Gas Companies Email Address? Once you make the payment, we will email you the Oil and Gas Companies List in Microsoft Excel format.